Did you know that you can order your favorite fragrances online? Fragrance Outlet is just that! It’s your one stop shop for fragrances. They offer a wide selection of designer perfume at affordable prices. They carry popular names like Escada, Michael Kors, Vera Wang, and so many more recognizable scents. 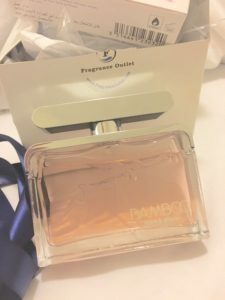 Fragrance Outlet takes pride in being able to offer our favorite fragrances at huge markdowns, unlike most department stores. It was expected that I order a particular fragrance that I had not heard of before. It is called Bamboo from Franck Olivier. This retails for $89. Maybe I am not fancy enough but this is not a brand I am remotely familiar with. I am really not sure why this particular scent was THE one I had to order. I am, however, happy I was asked to branch out a bit. I am very happy with the scent. It has top notes of violet leaves, black currant, and ivy. The heart notes include freesia, ylang ylang, rose, and lily. The end notes are vetiver (one of my favorites), cedar wood, and musk. I simply went to the website, fragranceoutlet.com, found the size and ordered. Shipping was just days and the website was a breeze to use. With Fragrance Outlet shopping is easy. You can find a store near you to find a new scent or you can order your already favorite scent online. They offer free shipping on orders over $50. I was also able to find 50% off codes for many of the advertised scents. 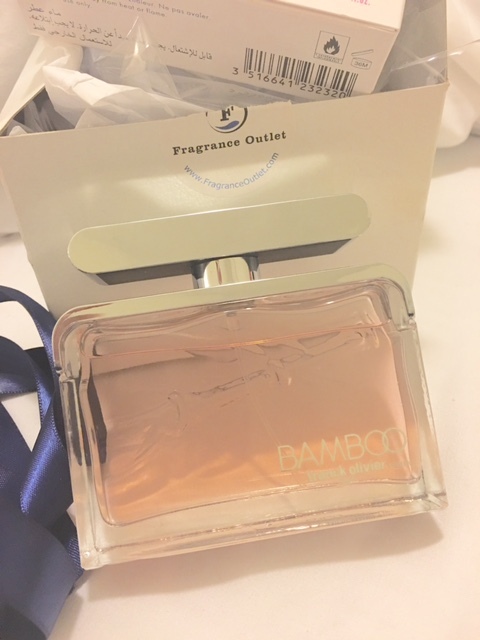 I believe Fragrance Outlet is the perfect option for the man or woman that knows exactly what they are looking for because it saves a trip to the department store! It’s also a good idea for anyone that wants something new. Walking into a local store can present scents you may not have tried before.